Eco Factor: Skyscraper with a solar shading system to prevent unnecessary heat gain. 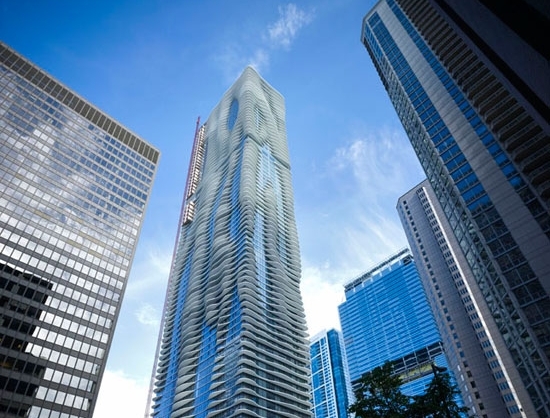 American architects Studio Gang have designed a modern skyscraper in Chicago, which features a unique solar shading design to reduce solar heat gain. 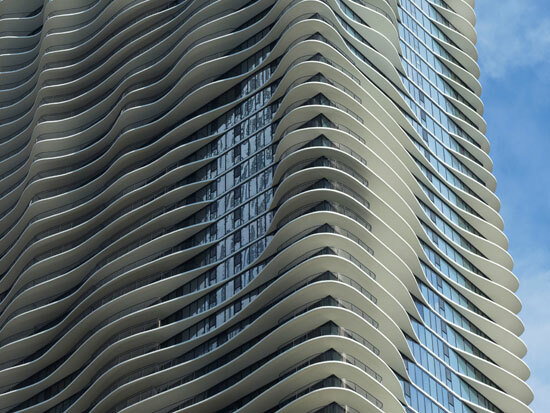 Dubbed Aqua Tower, the sustainable development carries outdoor terraces, which allow the tower to make the best use of natural light and ventilation. 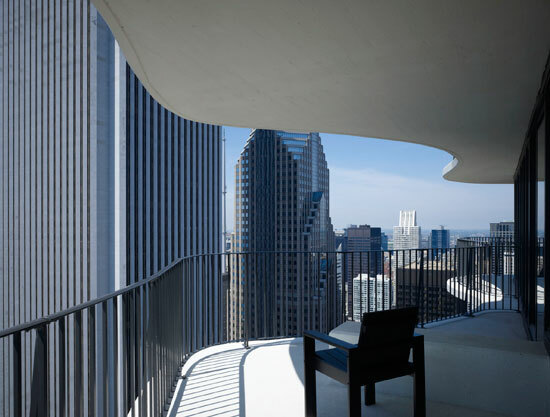 In an increasingly dense city like Chicago, views from the new tower should be negotiated between existing buildings. The unique design is defined by the outdoor terraces that gradually change in plan over the length of the tower.